You blew the interview? Fess up and fix it. Home » You blew the interview? Fess up and fix it. 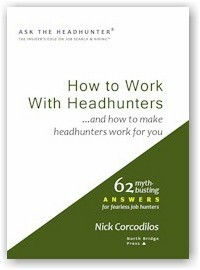 In the August 16, 2011 Ask The Headhunter Newsletter, a rejected job hunter fesses up that he got cocky and didn’t prepare for his interview. I have five years experience in a technical job and I want to move into a related management role. I’m the go-to guy in the department and I am considered a “vital” part of the team by both my peers and senior management. When I presented a case for the creation of a management role and development of a team, it was largely ignored and placed on the “long finger.” The whole experience made me realize I need to focus on moving my career forward. I recently interviewed for a management job with a company that I have long admired. The job itself is a carbon copy of my current position, but it would include two or three people working under me. I was called back for a second interview, but I was unsuccessful in moving forward to the next phase. On reflection, there were several reasons I probably didn’t move forward including being too cocky leading up to the interview, and thus not being 100% prepared. I don’t think my desire to change jobs was shining through in the interview. The logical next step for me is management. How can I make this transition? Many thanks in advance. You probably nailed the reason why you failed the interview. You weren’t prepared for the meeting, and maybe a bit cocky. You blew it. While you seem to have admitted your mistake, you said nothing about what you plan to do about this. It’s not even clear to me that you care — you just want to move on to the next opportunity. A manager doesn’t just tackle a project. A manager gets it done. And if the manager makes a mistake, he doesn’t just walk away. The key here is that you recognize what you did wrong. A good manager figures out what he did wrong, tunes up his approach, and goes back at it. Is it possible that the employer who interviewed you thinks you’re not interested in correcting your mistake? I don’t know, but my concern is that you don’t seem to care. Before you move on to the next management opportunity, fix what you did wrong this time. There’s probably nothing to lose in taking another shot, and what you’ll gain is self-respect and perhaps a second chance. My advice is not to give up so quickly. Go back to the employer who already invested in two meetings with you. I’d either call the manager, or send a short note. Fess up and fix it. The note is for fessing up, and the plan that you attach is for fixing it. 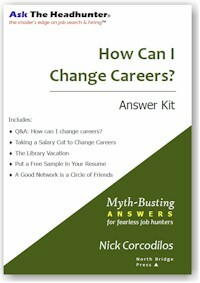 The details of this approach are covered in detail in How Can I Change Careers?, a PDF book that I should probably re-title, because it’s not just for career changers, but for anyone who’s changing jobs and wants to stand out in the interview. 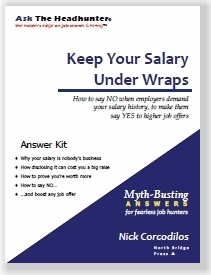 It teaches how to show an employer that hiring you will be a profitable decision. If an employer can’t figure out whether it’s worth giving you a shot at a management job, you must prove that it’s a wise choice. The interviewer won’t figure it out for herself. That’s why you must submit a plan showing how you’ll do the work. If you want to be the “go-to guy” in a management job, I think you need to get back in touch with that employer. Show that you know how to handle rejection by changing your approach and by acting like a versatile manager. If you hear nothing back, chalk it up to learning. Either way, you will have developed the plan you need to approach any promotion to a management job. Can you go back after the employer says No? It happens to everyone at some point. You blow it in the job interview. You know why, and you feel like a dope. You could have performed much better. Can you go back for another bite at the apple? Have you done it? Did it work? I can’t add much to what Nick advised. Of course, reassess, retool yourself and go back to the well. And while at it, reassess that internal pitch. Why were you in your view largely ignored? Same issues, cocky, ill prepared? did you run the idea past some objective parties in your camp? 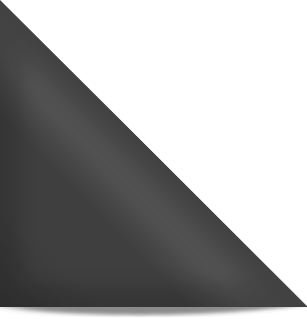 While I admit there are plenty of horror stories about obtuse managers, in most cases a manager(s) doesn’t ignore someone with an idea about how they can add more value and grow themselves, or an idea that may benefit the organization. Make sure you’re not being a legend in your own mind about being that go-to person. If you really are, then circle around and redo your pitch and come at it again. It sounds like you got it in front of someone & if so you weren’t ignored, they just didn’t like the idea and/or the way you pitched it. It can only help prepare you for other job opportunities and interviews. Don brings out an important point: Reassess your internal pitch. What are you telling yourself? That impacts how you tell your story in an interview. The reader who submitted the question was painfully candid in his assessment of how he blew it, and I give him a lot of credit. If my response to him seemed critical, it was – but I did not intend it to be harsh. I think the most important point to be taken away from this is, once you recognize your mistake, go back and confront it on the same ground. Go back to the employer. Flesh out your “re-do” for your own benefit, even if the employer won’t listen. (I think a smart one will.) Fixing your mistake is in the doing, not just in the recognition of it. By playing out your “re-do,” you solidify your new internal pitch. You try it out on the toughest audience possible: The person you blew it with. Even if your second presentation isn’t as strong as you would have liked, better to test it where you failed already, than with a new opportunity. Move on from there. The reader brings up an important question. Until you learn to manage yourself, you can’t manage anyone else. As Nick and Don noted, learning from the failed first approach could yield results and/or a change in future mindset. It is possible to go back. I had “failed” an interview (well didn’t get the job). I got a phone call a few days later, and a position had been created because “we just can’t let someone with your wealth of experience get past us”. If I never see another position or interview where experience matters, at least I had that one! Sometimes a “failed” interview is just their bias. I interviewed for an internship in a finance department. I had a good background in all of their skill areas including Excel, but one of the interviewers didn’t believe me because I couldn’t give him an example of how I used macros. I told him that I knew what a macro was but had not had occasion to ever use it. He saw this as a weakness. I sent them a follow-up note thanking him for helping me recognize a gap in my skill set and in retrospect provided a better answer to their question. I didn’t get that position but I was the first person they called when another opportunity came up and I worked there for several years. Suzanne, you touched on an interesting point, one I haven’t seen discussed here or elsewhere, that of the consensus interview. When you said “one” person in the interviewing team had an issue. Most of my managerial career involved consensus interviewing. i.e after interviews the interviewers get together and compare notes & a hiring decision is recommended. Technically it’s the hiring manager’s call and at that point approaches vary. Many equate consensus with unanimous and I’ve seen managers balk if just one person dissented. It just means general agreement. I had a boss basically say he had 51% of the vote. In some environments the macro concern would have been considered but not been a deal breaker if others were less bothered by it, particularly the hiring manager. @Suzanne & @ Don Harkness: I’ve experienced the consensus interview from both sides–as a job candidate AND as an interviewer. In one interview (job candidate), I wasn’t given the courtesy of being told why I didn’t move forward, nor which person on the interviewing team had objected to me, although I did hear that some had wanted to interview me again (next round), but that someone had not. I thanked the person who called me, then politely asked what the objection was and who had objected, because I wanted to do what Suzanne did–write a thank you note to that member of the committee and specifically address the issue he had with me. Not knowing who it was who objected and what the issue was prevented me from doing this, and all I could do was send generic thank you notes to the individual members. For an interview in which I was a member of the hiring committee, I remember that we decided to interview 5 people. One member (faculty member) of the committee merely sat there and didn’t ask any questions nor add anything to the conversation. Thinking back on it, I’m not sure that he even bothered to read the résumés of those 5 people. The conversation was conducted pretty much by my direct boss and me. I had a vested interest in hiring the best person because I’d be the one working most closely with the new hire and would be doing all of the training. The professor would not, and maybe that’s why he was the bump on the log who yawned during the interviews. Of the 5 candidates, 1 didn’t answer any of our questions and talked about herself and her own agenda. I remember calling her afterwards to thank her for her time and to let her know that the position was filled (even though we were really doing round 2 of the interviews with 3 of the candidates) and she was mad–she wanted to know why we didn’t hire her, and I politely but firmly told her that the committee objected to the fact that she had not answered any of our questions and that she didn’t explain how she would do the job (via the hypotheticals we gave her). Not answering interviewers’ questions is a big no-no. I didn’t expect the new hire to step right in and be able to do the job–I expected to have to spend a significant amount of time training him or her, but I wanted to get a sense of how candidates would handle problems, stressful situations, a challenging work-load, multiple projects, and deal with various contingencies and people. The 1st interviewee didn’t give us any sense of how she’d do that. Something would have been better than nothing. Candidate #2 had the most experience of all of them, but English was not her first language, and she had such a heavy Chinese accent, and struggled to understand us during the interview (and we struggled to understand her). The job required dealing with faculty, students, and staff, primarily over the phone and email, and it was her lack of fluency in English as well as her very poor spoken and written English that was the problem. The job required it because she would be a contact point for all of these different people. Candidate # 3 came across as cocky and a know-it-all even though he had the least experience of all of the candidates. We interviewed him because we thought he had potential to learn, and it turned out that he thought he could do the job blindfolded, even though he had never worked in academia, much less with older (think mid-career professionals) graduate students. Candidate # 4 was the second-best candidate, but my boss objected to her because she didn’t dress professionally for the interview. She showed up wearing corduroy slacks, a casual sweater that had seen much better days, and sneakers. She came across as a hard worker, someone who was willing to work hard and learn. She was a single mom, high school drop out who not only got her GED later but her Bachelor’s AND master’s degrees. She asked intelligent questions, and answered our questions well. She wasn’t afraid to admit it if she didn’t know something (which was fine with me), and she had had some experience in academia. While I was surprised at first re her attire, when she talked about her background, I understood that putting food on the table, paying her rent and bills and taking care of her kid came before clothes. And the job certainly didn’t require even business attire–most of the faculty dressed like slobs, more than a few couldn’t match their socks and wore sweats and jeans and flannel shirts, and most of the staff dressed very casually too. The job didn’t require face-to-face interaction with students and most of the faculty, and any she would have had plenty of advance notice when any students did decide to come to campus (and then you can dress better). We hired #5. Of all of these candidates, only the single mom sent thank you notes and asked what she could do differently–my boss told her to wear a suit, hose, tasteful jewelry, makeup, and dress shoes to the interview. It really came down to #s 4 & 5, and I was willing to hire #4. With consensus interviews, you really don’t know who has the power–it could be just one person, or it could truly be unanimous or even majority rule. But I think it is really helpful to know WHY you weren’t considered and, as Nick wrote, to apologize if the screw up is yours and offer to rectify it. The worst thing the committee can say is no (too little too late). But they might remember you for a future job, provided that YOU have learned from your mistake. Marybeth, you should write a book! There were so many insights for job seekers packed into your answer. It’s rare for job seekers to get any feedback on an interview — managers are afraid of the liability issues, and afraid of getting dragged down in arguments (like with your candidate #1…). That’s why the turn-down is usually a variation of the safe “we went in a different direction”. I advise my clients to get honest feedback from a trusted colleague or mentor as they launch a job search, so they can get a good understanding of their communication weaknesses and the viability of their job targets. I realize I’m commenting rather late, but I recently was up for a product manager job and made it through three rounds of interviews, the first a phoner with the hiring manager, the second a meeting with the hiring manager and then three members of the team, and finally a second in person round of interviews with the CEO, CMO, VP of revenue, head of legal, and then three members of the technology team. The interviews were all relatively short, 20 minutes or so. I felt like just when I was getting past the small talk and into the meat of the job and my thoughts on how I’d tackle it, I was pulled away into a new interview. In the process of readying myself for these meetings I wrote 10 single spaced pages of notes on my general thoughts, specific product improvement ideas, new products ideas, etc. As I hadn’t felt the time to reveal the depth of my ideas in person, I shared these notes with the hiring manager after my last interviews. After about a week the headhunter who contacted me about the job let me know that they decided to go with another candidate. He said it had been really close and they didn’t offer a reason why I wasn’t chosen. I followed up with the hiring manager by requesting to connect on LinkedIn along with a nice note about being sorry it didn’t work out and hope we can keep in touch. He wrote back that he absolutely wanted to keep in touch and that I have great ideas about where they can take things in the future, let’s keep in touch and look for opportunities to work together in the future, and sorry the timing wasn’t right for this immediate opportunity. I had felt a great connection with this hiring manager and he gave me cues that he wanted me during our meetings. I suspect that what may have happened is that one of the other people I met dissented and the hiring manager made what he considered a safer choice, considering the headhunter fee involved and the politics of a startup. 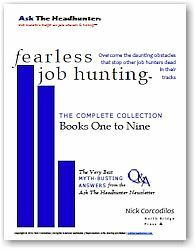 I find myself wondering if I should reach back out to the hiring manager and ask for advice as Nick advises in his book (though he says to do it in person when you realize you will not be getting the job). Advice would be helpful as I am looking to improve my presentation for future opportunities, but on the other hand I don’t want to lower my value by seeming needy or insecure as he seems to still hold me in high regard. If it was a political issue with disagreement on the decision with one of the stakeholders, he’s probably unlikely to tell me so. Should I just let it go, or try to salvage something of value from the whole experience, such as tips or a referral? @Pete, heck no don’t let it go. you’ve established contact with the hiring manager, you got good vibes there on the interview and the follow up. Thanks Don, glad to see you caught my comment and appreciate the advice. Someone once said follow through is everything and I always try to place myself in the other person’s shoes when doing so. We all have limited bandwidth and pressing responsibilities. I don’t want to cross that fuzzy line into pest status, so want to handle this tactfully. I was thinking of responding to his LinkedIn note with thanks and a request for advice about how I might refine my approach the next time I’m up for a product manager role. Not sure if suggesting a lunch might be overstepping in terms of either the hiring manager’s comfort level or his time. Of course I could look at his background in terms of companies he’s worked at and ask if he’d be willing to serve as a reference there, skipping the advice stage. Not sure if the proper sequence is to reach out and thank the hiring manager, ask for advice, and then, assuming the conversation went well, request a reference. I definitely agree with your point about how the ball is in my court and do want to strike while the iron’s hot, but want to be smooth. @Pete: I’d follow up, but not to pursue a job. Let that go. Just talk shop. Find a professional topic, share your opinion, and ask the manager for his. Keep it remote to his company. Make it easy for him to get to know you better. I agree with you – you don’t want to come across as needy. Treat him like a peer. If he brings up your job (or a job), follow his lead. If your chats feel right, the next step I’d take is to ask his advice about one company or another that you’re interested in. If he’s helpful, THEN I’d ask about a referral or a reference. One step at a time. What people value is relationships; take time to develop one before you ask for favors. Sounds like you’ve got a fan already in that manager. Help it along! Wow, thanks Nick, your adding your thoughts here means a lot. My instinct is to give him a bit of breathing room just so he doesn’t feel like he opened a can of worms by engaging with me after the fact, but find a way to follow up and stay on his radar by continuing to add value. I’ll be on the lookout for relevant articles or news to share and try to re-engage within a few weeks. Thinking of doing this by email to start rather than phoning or something more intrusive. I want him to be pleased to hear from me rather than say uh oh. Thanks a million Nick, I’ve been getting tremendous value out of your advice and am steadily working towards fully implementing it!